Woman’s Day Editor in Chief Susan Spencer and Publisher and CRO Kassie Means hosted the 15th annual Woman’s Day Red Dress Awards at Jazz at Lincoln Center. The event featured performances by Rock & Roll Hall of Fame member Blondie and the gentleman trio, GENTRI. Other guests included: Natalie Azar, Laura Benanti, Afiya Bennett, Carla Hall, Tamron Hall, Star Jones, AnnaLynne McCord, Alicia Quarles, and more. The Red Dress Awards is a night of awards and performances honoring those who have made significant contributions to Heart Health Awareness. This year’s honorees included: Jennifer Ashton, M.D., Chief medical correspondent, ABC News and Good Morning America and American Heart Association volunteer; Tom Colicchio & Lori Silverbush, Top Chef head judge, food policy activist; filmmaker, social justice activist; Karen Springer, President of health care operations for Ascension Health, the largest nonprofit health system in the U.S.; Fitbit, the leading wearables brand helps Americans get moving and Icilma V. Fergus, M.D., F.A.C.C., Associate professor of medicine and director of cardiovascular disparities, Mount Sinai School of Medicine in New York City. Blondie closed the evening with an unforgettable performance that included: One Way or Another, Hanging on the Telephone, Maria, Long Time, Dreaming is Free and Heart of Glass. The evening featured additional performances from Broadway Inspirational Voices and Gentri. 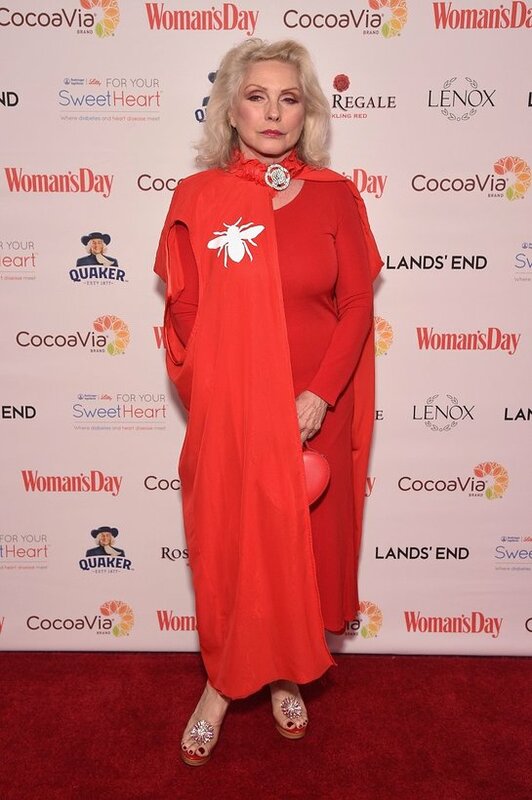 Woman’s Day is proud to partner with lead sponsor CocoaVia and sponsors For Your Sweetheart, The Quaker Oats Company, Novartis, Rosa Regale Red Sparkling Wine, Lands’ End and Lenox Tableware & Gifts for this year’s event. Participants of the fifth annual Woman’s Day Live Longer & Stronger Challenge attended alongside their mentor, TODAY Show nutritionist and Woman’s Day columnist Joy Bauer and experts from the Mayo Clinic. Over the course of eight months, Woman’s Day, Bauer and the Mayo Clinic have provided nutrition counseling and guidance to five women who have collectively lost more than 213 pounds and have achieved impressive heart health milestones. Neiman Marcus Last Call provided dresses for the women to help celebrate their transformations.